After 4 long weeks I finally got my cast off and have gone into a walking boot for another 3 weeks before I start physical therapy. As soon as I fell I knew something was seriously wrong but without cell phone signal I had to continue hiking up to Hawk Mountain shelter. The next few hours were hard. Mentally and physically I knew what I had to do but my mind immediately deemed everything up to that point as a failure. I was beating myself up for something I could no longer control. I was a failure because I wasn't going to be able to finish what I had set out to do. As I continued up the mountain I realized I was so focused on my pain and the idea of failing that everything had become a blur. I stopped to collect my thoughts. I told myself from here on out nothing negative, you have to pick yourself up, you are doing this, worry about everything else tomorrow. You see it is so easy for my mind to immediately think of the negative and I was no longer going to feed into what others would say or view my trip. I made it up that damn mountain and as I passed the sign for Hawk Mountain shelter I stopped for a moment to cry and reflect. I accomplished that mountain, that hurdle. I could be proud of that! The next morning trail angels hiked up to the shelter and hiked me out. Later I learned that I had fractured my ankle, torn multiple ligaments and strained my calf muscle as a result of my fall. But as I told my story to everyone who asked what had happened, I didn't get the reaction my head told me I would get! They didn't see my story as a failure! They congratulated me on being brave enough to solo hike. They were inspired by my resilience and most of all they were curious if I was going to let my injury keep me from going back to the trail. I told them I only got 24 hrs on the trail and 22 of them were spent in pain but I have dreamed of being back out there ever since! I encourage / challenge each one of you when things go wrong in life or on the trail to focus on the positive! Don't beat yourself up when things don't work out the way you want! The trail will still be there, life will continue and when I am healed up and my ankle is strong again I will finish my hike! I hope to see some of you on the trail! You never can have too many to compare! 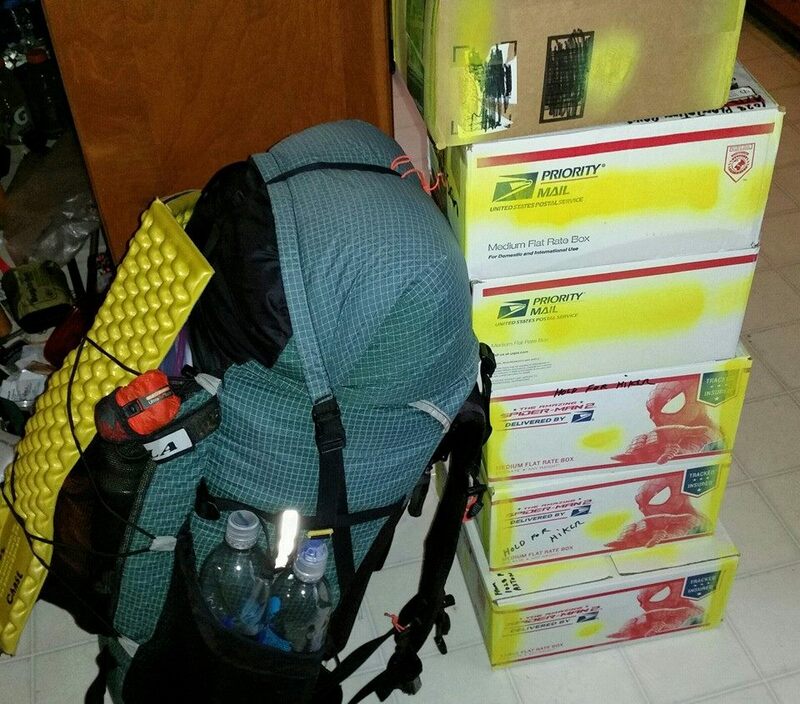 Sharing this post from our files of an alternate gear list for an Appalachian Trail thru hike. This hiker's start was in February, but keep in mind that winter conditions can persist on the trail all throughout the spring. So far its been wet out there for 2019, so prepare mentally as well. Xped Neo Air regular sleep pad 16 oz - this pad worked out great. At twice the insulation value of a Z Rest. In the past I have carried a Neo and a Z Rest in winter or a Ridgerest and a z rest. This pad did the job at half the weight. A generous seat pad offers some backup protection. Water: Sawyer filter, a couple of Gatorade bottles and a couple of Smart Water bottles, one pint size Nalgene serves as coffee cup or emergency hot water bottle. I did not use my Sawyer filter until the Smokies at a shelter with mostly ground water and no privy. Next time I plan to use Aquamaira during weather where the Sawyer filter might freeze and ruin. It’s a pain to try and keep the Sawyer from freezing so it just makes since to carry Aquamira until the weather warms up then switch to a Sawyer original not the mini. Leki hiking poles, three folds of a Zrest pad for a generous sit pad. Galaxy S5 phone amazing battery life in black and white mode, Anker 16000 mah E5 brick battery at 10 oz its as heavy as a brick but this is a luxury cruise, 5.5 volt 2 amp charger, headlight. I sent the Anker battery brick home with its fast charger. Instead I just carried 3 extra batteries for my phone @ about 1 ounce each. I found that I didn't care to play with my phone as much as I expected as it distracted from my immersion in nature. The spare batteries were more than enough for pictures, Guthook trail maps and an occasional movie the day before town. Guthooks AT Hiker apps, I love electronic gadgets, 2015 Data Book this is what I hike with when I take a break I jot the time down next to my position in the Data Book this makes it easy to judge location, travel time/miles. For town planning and additional water spots I use both AWOL and ALDHA Companion and I have both in pdf format also. I have packed 6.5 ‪#‎s food for 4 days the last day being mostly Ramen. Mostly I am eating Mountain House freeze dried food and Lipton sides that has been repackaged into ziplock freezer bags. I do not care for the Liptons by themselves without doctoring them up. Last year I got to liking 1/2 a freeze dried meal and 1/2 a lipton noodle and rice side mixed together. Boiling water is poured into the ziplock bag with the food after about 15 min I eat from the bag, no cleanup and little trash and no food smell in my stove. No stirring while cooking KISS keep it simple stupid makes for a happy Thru hiker. This year I did not care much for the Liptons mixed with Mountain House. They are so so if you have a can of meat to add and maybe a handful of raisins. I gradually moved to not having a hot breakfast, just coffee and a honey bun or something similar. Just in the last month I finally started liking oatmeal, well Quaker super grains blend with at least a quarter cup of nuts and berries. So I expect I’ll eat that some for breakfast next trip. I do not like Starbucks very much but I often use the Via's on trail for a good dose of caffeine. 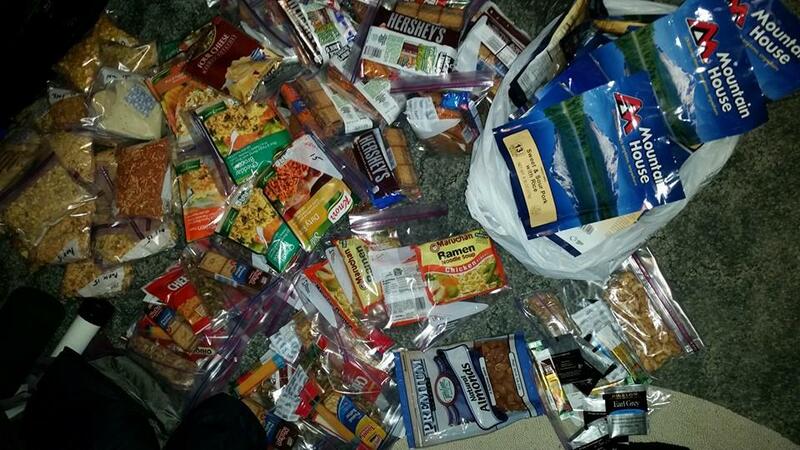 Lunch is about a pound of candy bars, peanut butter crackers, nuts, beef sticks, cheese, cookies that sort of stuff. Mostly I eat one of those items every hour and sit down for a few minutes. This trip I abandoned my Jardean method of eating every hour with a 5 min break. Instead we did a more conventional longer break every couple of hours. While in town I evaluate expected weather etc for the next section hike to the next town. At NOC (Nantahala Outdoor Center) with -10* below zero weather approaching, I purchased a second pint Nalgene and an extra 7 oz can of fuel beyond what I expected to use. The extra Nalgene and fuel where great luxury items and I enjoyed many hot beverages and hot water bottles. My brother and I held up at Fontana Resort a few days for the worst of the below zero weather and precipitation. The Smokies was officially closed, all trails and roads. Luckily they lifted the ban on hiking trails and we were able to cautiously continue our hike. Sure its only 35 miles to Newfound Gap and I have made that in two days of good weather. But if Newfound Gap road is still closed then its another 15 miles to Gatlinburg for resupply. On my 2012 SOBO I narrowly missed 6 foot of snow around Newfound/ Cingmans Dome from a predicted major storm, sometimes referred to as the Sandy Hook storm. There were lots of unprepared sobo hikers with no gloves, warm clothes or rain gear braving windy temperatures in the teens. They foolishly listened to Thru hikers from 2011 a very warm dry year. Luckily I have never had one of those years where there is a cold rain for six weeks straight but it happens. So we headed into the Smokies with a few days extra supplies and about twice the fuel that we expected to need. Moving shelter to shelter with additional snow each day. Yea Newfound Gap road was open. Weather can be expected to be anywhere form 65* to - 10* day or night, rain, snow, ice, packed snow can all happen. Oh yea I have a pair of Yaktrax Pro for additional traction if needed. The Yaktrak Pro's have served me ok in the past and are definitely better than nothing. With hard ice (daytime highs in single digits) and off camber trail they offered only a little grip. We switched to Hillsounds brand light crampon and wore them for 90 miles including the Smokies. They worked great. You can pretty much count on the Smoky mountains to be a sheet of ice until spring. April before last it warmed up to 4* before I reached Newfound gap it was awesomely beautiful. I walked the road down from Clingmans Dome because the road was closed and I knew the views were much better than from the trail. All that and 20 oz of water leaves me with a 30# pack. AT-12, FHT-13, Big-O-13. FT-14, AT-2015. It's coming! The spring backpacking season. Use or adapt this gear list to prepare for a spring backpacking adventure in the east. Late March in the Smokies can still mean old man winter. Things I have heard to take on a long distance trek that just don’t work for me. Sorry. I’ve used it for years with poor results. I’ve put it on only to have it fall off, rub my other toes or skin, bunch up, causing more issues. I’ve tried to repair gear with it to have it fall off or bunch up. Solution: For hot spots I have been using moleskin which does pretty good, doesn't irritate like duct tape, can though it can also come off if it gets wet. 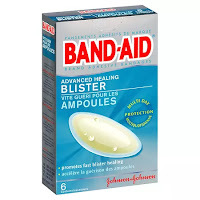 For bombproof Rx of blisters, my treatment is the Band-Aid Advanced Healing Blister bandages. There is nothing like it out there (including stuff I have seen sold in outfitters)! I used them in the swamps and sand of the Florida Trail. They are awesome. 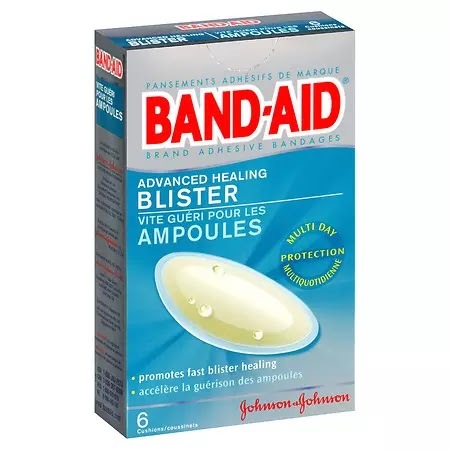 I tried other blister brands too. They fell off. Not these. Well worth the money and may save your hike. They are waterproof. When they begin to peel back after a few days, remove the bits slowly, a little at a time. When they fall off, the blister area is healed. Amazing. As for gear? Tear-Aid Type B works for holes in tents. Carry some. Dental floss and a needle could repair tear in a pinch. Wait for an outfitter or call the manufacturer from the trail to have gear replaced up the trail (lots of manufacturers will work with you). 2. 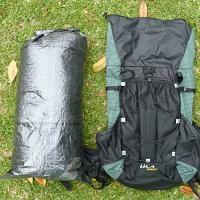 Trash bag liner to line your pack and protect gear from getting wet. Been there, done that. A cheapo version that protects in light rain, sure. But if you are a long distance backpacking, you’re gonna get soakers. As a ridgerunner I have seen hikers pull out their wet stuff from a trash bag liner in their backpack after enduring a heavy thunderstorm. I’ve had my stuff soaked on the Long Trail in a heavy, three inch all day rain. Solution: Try to go with the heavy duty contractor's bag if you go that route. Better yet, invest in Z Packs cuben fiber liners and /or stuff sacks. They are awesome. I have had a puddle inside my pack and the stuff in these is dry. Worth the money. 3. 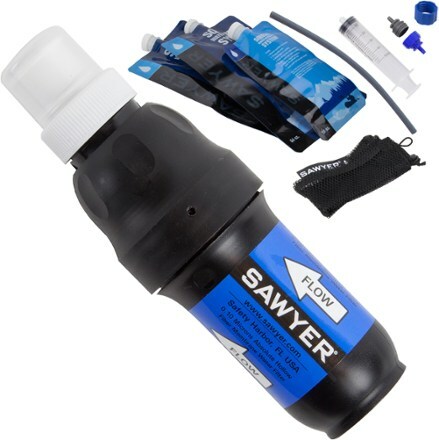 Sawyer Mini to filter water. TOO slow for me. The regular Sawyer squeeze filter is bigger and works faster – letting you quench that thirst for an ounce more. And I also used the Evernew water bags. They work awesome with the Squeeze filter. No more blowing out Sawyer bags! 4. A map app on a cell phone. I’ve argued – Inaccurate. Wastes your phone charge. Hard to read. May fail. I used it exclusively for the Florida Trail. Worked great. You do need to know how to work it and read a map, though. On recommendation from hikers, I got a good Anker charger for my phone so I can now keep it charged (the cords are light too for recharging everything when in town). I love phone map apps. They are awesome. 5. Darn Tough socks. Everyone raves about them. I’ve used all kinds of other socks. Are they really that great? These socks are Bombproof. And they have an unlimited guarantee. They dare you to wear them out. No joke. They have an amazing warranty. Anything you care to share about gear you now like or don’t like? There are so many places. So many trails. So many adventures waiting to be had this year. Lots of trails. Lots of choices. First, take a deep breath. Yes there are lots of places to explore. Maybe this is not the year though to do the big trails. The shorter trails, even trails in your own state, can bring great satisfaction and unique experiences than just the big trails we always hear about. No one heard of the Allegheny Trail in West Virginia which I thru hiked in the past. It doesn't get the major press and hoopla. But wow, did I learn a lot by doing it. And grew in my hiking knowledge that I can now share with others. And it ended up being the catalyst for the Florida Trail, which I finished last year. If you are planning a big one – like a multi-day backpacking trip, take a few things into consideration in planning. Some say you can just drop everything and go. Not wise. By taking the time to think things through that maybe you hadn’t yet considered, you will be steered towards that perfect trip meant for you! And without the distractions misplanning can cause. 1. Time. Do you have the time to do the trip you are considering? Will you need to take vacation time from work? Or a leave of absence for a major hike? Take into consideration how long the trip will take. You won’t be able to do 20 mile days. A 50 mile trip may take you five days. Plan accordingly. 2. Money. It takes money to do a trip. Money for gear. For traveling to and from your destination. For expenses on the hike. 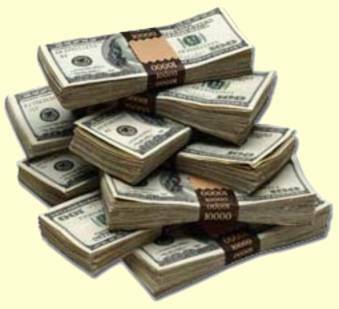 For paying the bills or other needs on the homefront if you will be gone an extended period of time. Be sure there are the finances to do this. Don’t think – oh, I will earn money on the way. Or I can skimp on things along the way. Or raid hiker boxes, etc. More often than not it never works out the way you think it will in the comfort of your home. Always plan for more money than you will need. Save up and be self-sufficient. 3. Physical State. How are you physically? It is important to know if you are able to hike safely the trip you have planned. Even weekend getaways. Carrying a backpack is not the same as walking or running. It uses muscles differently, especially bearing a full load. For instance, if you are having knee issues, it’s doubtful they will suddenly go away on a hike! So take care to get checked out by the Dr. Get fixed what needs fixing so you don’t exacerbate a condition. If you need to change shoes do so. Work on physical strengthening, etc., do it. And make sure you have the proper gear and you are not burdening yourself with lots of extra weight that can rapidly turn a trip into a grueling experience. Learn from others on what to bring and what not to bring. 4. Social Aspects. Are you going on this hike with others or going alone? Both need planning. For instance if going with a buddy, do you both hike roughly the same pace? Can you live with that person for an extended time? If the buddy must leave the trail on a long distance trek, can you go on alone? Decide who carries what gear or if you should carry your own (which is a better idea). If you are going solo, prepare with your safety in mind. Maps, a cell phone, a guidebook, knowledge, even some personal safety devices like a SPOT etc. Are you also ready mentally to spend days and nights alone? Much of this can decide the kind of trip you want to do. 5. Gear. Do you have the gear for the season and area you plan to hike? Research ahead of time what you are going to need to accomplish your adventure. Adequate footwear, clothing, outerwear, sleep and cookwear. The backpack. All important. But remember, gear first, backpack last. Make sure you know weather conditions ahead of time and prepare accordingly for whatever you might face. 6. The Mental Aspects. Are you accomplishing a hike to chip off sections on the AT? 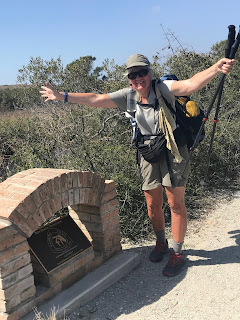 Doing a thru hike of the John Muir Trail? Or going on your first expedition? Are you seeking waterfalls or a great view? Or another hiking challenge. Whatever it is, be sure your heart and mind are into it. The mental aspects of a hike is the number one thing that can kill it altogether if you are not ready and eager to get out there and experience the lows as well as the highs. The good and the bad. All of it is a learning experience. Stay positive even in the hard stuff. Limit expectations and take it one day at a time. By looking at these different aspects of a hiking journey, you can better prepare for the perfect trip to fulfill your hiking dream this year. Do I Need to Be in Physical Shape to Hike? “Do I Need to Be in Physical Shape to Hike?”- a young hiker asked tentatively on social media. they need to be in the best shape they can! I thought about that. If one needs to be in physical shape to accomplish a trail. 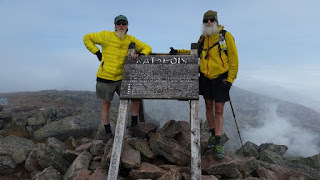 I thought then about my son, a couch-type guy, in no shape whatsoever, who did the entire Appalachian Trail with me (in fact, he wanted to quit midway, in the best shape of his life at that point). I thought about the seven-year-old child who has done it. I thought about the blind person who did it, the one who has joint replacements, the 80 year old woman, the one with heart issues, cancer, or other issues, do it…. What did they have then that physical shape did not? The will to accomplish something great in their lives. I believe in the power of the mind. The will. I have seen the powerful will overcome whatever physical limitations a body has. I have seen folks with the drive and determination to make things happen and succeed when the odds speak against it. I have also seen physically fit people quit because they were mentally miserable. Multiple times. To me - if you keep walking, it makes sense the physical shape will come right along with it. If you stop, it won’t. That is what I meant by saying – the trail will get you in physical shape. “If” you keep walking. You see, I was one of those people that was told I couldn’t do something (both in grade school and when I was injured as an adult). I was not in physical shape at all. I had a sports doctor tell me I’d never hike again because of a bad ankle. It was all impossible. But I found a doctor who said I could accomplish it. Most importantly, I had my will, my dream that I had dreamed for 30 years to keep me going. What the body seemingly could not do, the will could. And the body followed. One way or the other. Short or long. The Florida Trail, a flat trail - is mental! SO I did it. The Appalachian Trail, not once but twice. The Florida Trail. The Allegheny Trail. The Long Trail. The Colorado Trail. And yeah, I wanted to quit. I had physical issues. Mental issues. But I rose up with prayer and the will to do it. On some of those hikes I was in great shape when I wanted to quit. I was miserable anyway. But the mind overcame it. I found a reason to go on. Is it necessary to be in physical shape? It can’t hurt, except if that physical shape is from bicycling or running, for sudden backpacking and carrying a load uphill can still cause mega issues (those sports uses different muscle sets than hiking. ITB issues are major). Cardiovascular shape can help some. But I advise getting your mind in shape above all. And through that strong mind, you will make the right decisions so that you ARE in the best shape to hike. You will make the right decision with planning. Goal setting. The gear you need. Safety. Going to see the doctor and dentist too to make sure you are set (you never want to forego annual physicals). Have the mind ready to get up and do a hike, even in rain, sleet, snow, or when you are hurting or feel like, why am I doing this? You will keep walking. You will get in shape because you keep walking. But most of all, you keep walking in response to the will to keep walking. Then you will see a dream reached. That is what I feel and believe and share with others. I don’t believe it's dangerous advice. I believe it’s victorious to achieve a dream. Another year has come and gone. Hard to believe. When 2017 ended, I was coming off a great year of hiking, from the palmettos of Florida to the grand Rockies of the Colorado Trail, plus ridgerunning in Shenandoah National Park. 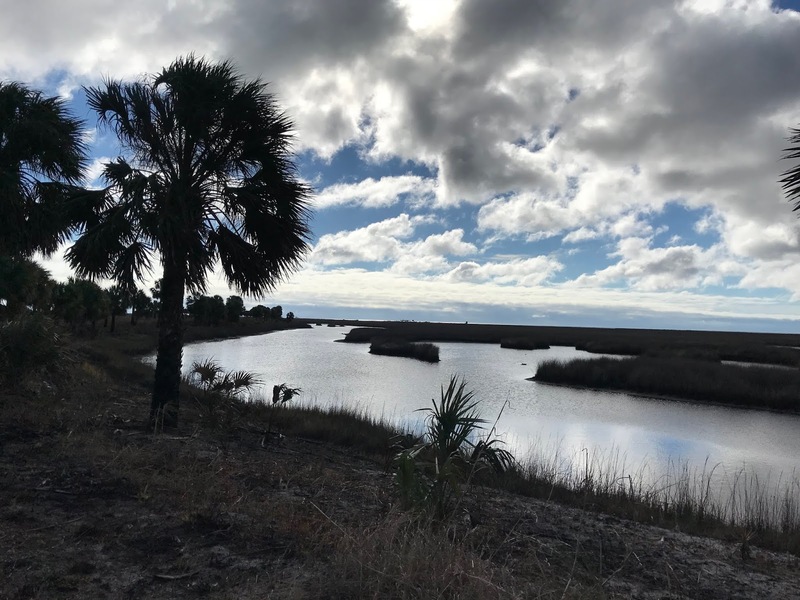 being a fascinating journey of rivers, and palmettos, of a wildlife refuge, a boat ride, long needle pine and titi (that indicates swamp ahead) and a beach walk to its end at Fort Pickens. Then there was the multitude of trail angels who helped me out, and especially one I now call my big sister for all we went through together for nearly ten days as she took care of me on the trail. As I write this, hikers are gearing up for a Florida Trail adventure as the season for hiking it spans from December to April. You can find more about the trail through the FloridaHikes! or the FTA web site, including some section wanders along it. Unfortunately, the night I returned from the trail I was in an auto accident that basically curtailed any kind of lengthy backpacking for the rest of the year. I am still under care for it, and wonder how a backpacking trip will change when I do return. But that is what 2019 is for, I hope and pray. I am already planning a return to Florida to complete the Blackwater section that will take me to Alabama, along with my new big sister from February’s wander. In July of 2019 will also see the publication of my Florida Trail journey in "Gators, Guts, and Glory –Adventures on the Florida Trail" by WhiteFire Publishing. Plus I have already set up for more programs at libraries about my trail adventures. Stay up-to-date with all the happenings by signing up to receive our quarterly newsletter for details of adventures to come and about the book’s upcoming release. See the button on the left column of this blog site to sign up! Thanks for being a part of Blissful Hiking, and here’s to more adventures on and off the trails in 2019. Introducing Blissful Hiking's FIRST Quarterly newsletter! Four times a year we will be sending via email a newsletter highlighting the best from our hiking blog plus other fun stuff, pictures, wisdom, and more. Take a look at our inaugural first newsletter with gear ideas, a recipe for a holiday trailside dinner, trail safety during hunting season, and more. button on the newsletter post or via the "Subscribe to Newsletter" button located in the left column of this blog site. You can unsubscribe at any time.